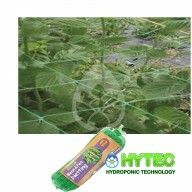 ​ YOYO PLANT SUPPORT THIS AMAZING PRODUCT HAS BEEN AS BESTSELLER FOR YEARS. 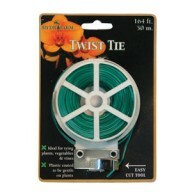 IT TIGHTENS AS YOUR PLANTS GROW ELIMINATING THE NEED TO REHANG EVERY OTHER DAY! 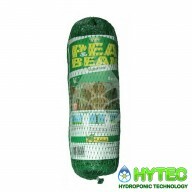 DESIGNED TO SECURE, SUPPORT AND TRAIN A VARIETY OF UNRULY OR HEAVY CROPPING PLANTS IN THEIR DESIRED POSITION. THE YOYO COMES WITH A 1.4 ME.. 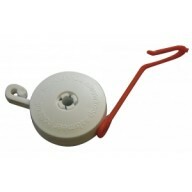 Twist Tie - 50m Roll Ideal for training or supporting plants, this plastic coated wire is durable and comes with a cutting tool built into the dispenser. 50 metres. 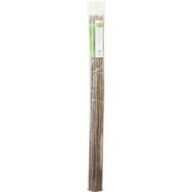 ..
3' Bamboo Stakes (90cm) - Pack of 25 Ideal plant supports, these packs of Bamboo Stakes are strong and durable. Natural finish, use indoors or outdoors, strong and durable, lightweight stakes have smooth attractive finish and available in 2', 3', 4' lengths. 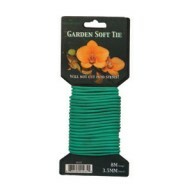 ..
Garden Soft Tie - 3.5mm x 8m Ideal for training or supporting plants, the Garden Soft Tie is 8 metres long and works in a similar way to the Twist Tie but is padded and so gently secures plants and will not cut into the stems. 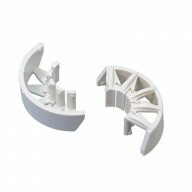 ..
BendZ Plant Training Device (Pack of 50) This little device allows you to gently bend the branches of your plants so they can receive more light than if they grew naturally. 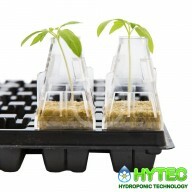 As the plant grows, BendZ are clipped to the stems which change their growing direction. 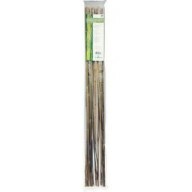 By clipping on more, you can sculp..
4' Bamboo Stakes (120cm) - Pack of 25 Ideal plant supports, these packs of Bamboo Stakes are strong and durable.Natural finish, use indoors or outdoors, strong and durable, lightweight stakes have smooth attractive finish and available in 2', 3', 4' lengths ..
SECRET JARDIN WEBIT PLANT SUPPORT NETTING Made of solid elastic fibre of 3mm of diameter, the Secret jardin WEBIT can be fixed on all tents, with the vertical tubes and allowing your plant to be trained to grow into each square of the netting to create an even spread to the canopy so your pl..
Pea and Bean Netting 4m x2m The advantages of this systems are: Better ventilation in crop areas Easier and faster installation Easier and speedier access for harvesting and treatments Facilitates higher crop yield UV stabilised, rot proof, hard and durable Normally l.. PROP UPZ - Pack of 6 (FOR SEEDS) A handy propagation tool to support seedlings through the vulnerable early stages of growth. Sold as a pack of 6. 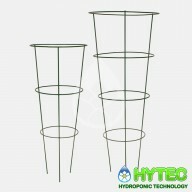 ..
PLANT SUPPORTS WIRE Large round 3 tier 80cm Extra Large round 4 tier 120cm ..
Pea and Bean Netting 10m x2m The advantages of this systems are: Better ventilation in crop areas 150mm squares Easier and faster installation Easier and speedier access for harvesting and treatments Facilitates higher crop yield UV stabilised, rot proof, hard and dur..
LightHouse StretchNet with 4 Hooks Providing horizontal support for plants Can be uses with 1m x 1m or 1.2x x 1.2m or linked for bigger tents. 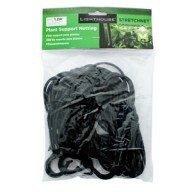 The LightHouse StretchNet comes in one size and is provided with 4 hooks. 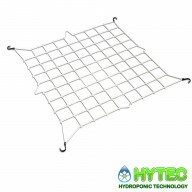 The hooks allow for the stretchnet to be used in different tent size..